Her diverse background includes 25 years as a pianist, church organist, and director of music. Dr. Thomas was the first woman to receive a Ph.D. in composition from the University of Pittsburgh, and the only woman to serve as President of the Pittsburgh Alliance of Composers. Her computer music research and development of music theory software is internationally known. As a teacher, her innovative teaching methods have been cited by Associated Press and honored by the university with its prestigious Henry Hornbostel Teaching Award. Since joining the Carnegie Mellon faculty in 1981, Dr. Thomas has served as Head of the School of Music, 1988-1996, Director of Graduate Studies, 1997-2000, Executive Director of the River City Brass Band, 2000-2003, and Interim Head of the School of Music, 2006-2007.She was President of the Executive Board of the Andrew Carnegie Society at Carnegie Mellon University and served on the University's Board of Trustees from 2008-2010. 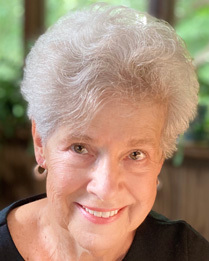 In addition to her work as a composer, she has published over 20 articles and papers on composition, technology, computer music, music education and women in music. She has also authored two books, several collections of essays, poetry, and travel journals. Leadership in the Arts: An Inside View was published by AuthorHouse in Bloomington, Indiana. In 2004, Thomas was granted the Stolarevsky Lifetime Achievement Award by the McKeesport Symphony Society for distinguished service in the arts, and for excellence in and contributions to the cultural life of our communities. She is the mother of three grown children and has seven very active grandchildren.